It has been a rough, rough year for old guard Mac publications. Not only did International Data Group stop publishing Macworld Magazine they also killed the Macworld tradeshow. Now, another print magazine for the rest of us is being put out to pasture. 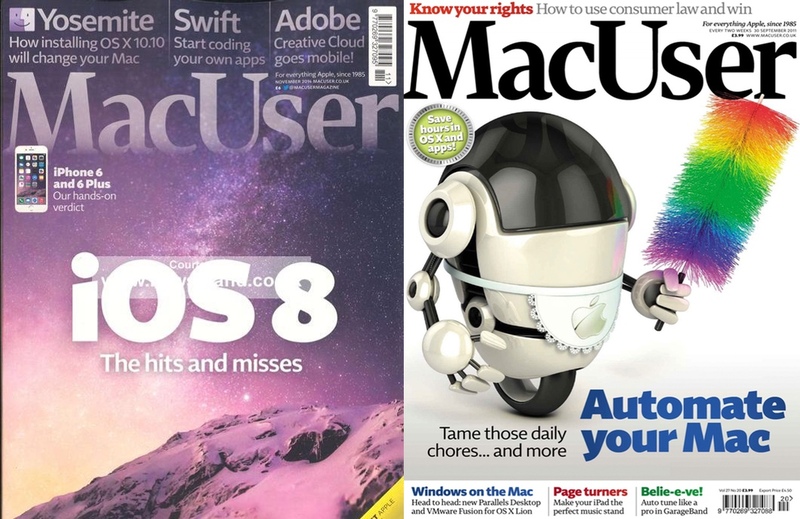 After nearly 30 years of continuous publication, MacUser is now heading for the big magazine rack in the sky. Of course, the bitter irony here is that the Macintosh platform has never been bigger or healthier — the Mac has outgrown the Windows PC competition every quarter but one since 2006. Dennis Publishing is sad to announce the closure of MacUser magazine after nearly 30 years. Since its launch in 1985 MacUser has provided its readers with authoritative buying advice, world exclusive reviews, breaking news and practical features. Inspired by the late Felix Dennis’ purchase of an Apple Lisa in 1983, the magazine started life as a bi-monthly magazine but soon upped its frequency to fortnightly as readers and advertisers poured in. The magazine was launched in the USA in late 1985 where similar success followed. Ian Westwood, Group MD of Dennis Publishing, said: “MacUser has helped make Dennis Publishing the business it is today and has contributed to establishing us as the largest technology publisher in the UK. The decision to cease publication of MacUser was very tough and one that was not taken lightly. Unfortunately, due to challenging market conditions, the closure was unavoidable. As noted in the lede, MacUser joins Macworld Expo and Macworld Magazine in death. Once upon a time, Macworld magazine was published in a dozen-plus languages and Macworld Expo was held not only in San Francisco, but also New York, Paris and Tokyo. MacUser, though perhaps not quite so well travelled, was published around world, as well, including a US edition that ceased publication way back in 1997. For what it’s worth, Macworld (US) continues on as a web-only publication, not to mention overseas editions that are still published. MacUser is, sadly, being shuttered completely.